Summer’s Vegetable “Lasagna” | Club Dine In! I saw this recipe on episode from the show Giada at Home on the Food Network, but have changed it considerably. I love this dish because it’s versatile and you can use any vegetables you have on hand. I like using “meaty” vegetables such as zucchini, squash, eggplant, and mushrooms. I like to add sun-dried tomatoes, because they give a bacon type of flavor. If you get yours in a jar of oil, drain and pat off the excess oil. You can add a layer of no-boil-lasagna sheets for an extra bite and sustenance. I choose to substitute the lasagna sheets for slices of potatoes. Plus, most lasagna sheets are highly processed, made with refined flour and then enriched with inferior nutrients. Potatoes have fiber, vitamin C, vitamin B6, potassium and manganese. What I love about this dish is that it tastes better the next day and the days after…I make extra, so I don’t have to worry about cooking so much the rest of the week. This dish isn’t heavy, cheesy, or saucy. Rather, it’s light, satiating, and fresh! Another great thing about this dish is that I really am not cooking; the oven does all the work! Just chop, mix, assemble on a baking dish, throw it in the oven and forget about it for the next 40 minutes! 1. Preheat the oven to 375 degrees F. Butter a 13 by 9-inch glass baking dish. 2. In a large bowl, mix salt, pepper and herbs. Coat the vegetables with this mixture. 3. Spoon 3/4 cup of the marinara sauce over the bottom of the prepared baking dish. Arrange the potato slices and then the eggplant slices on top of the marinara. Sprinkle with 1/2 cup of mozzarella cheese or spoon 1/2 cup of ricotta over the eggplant. 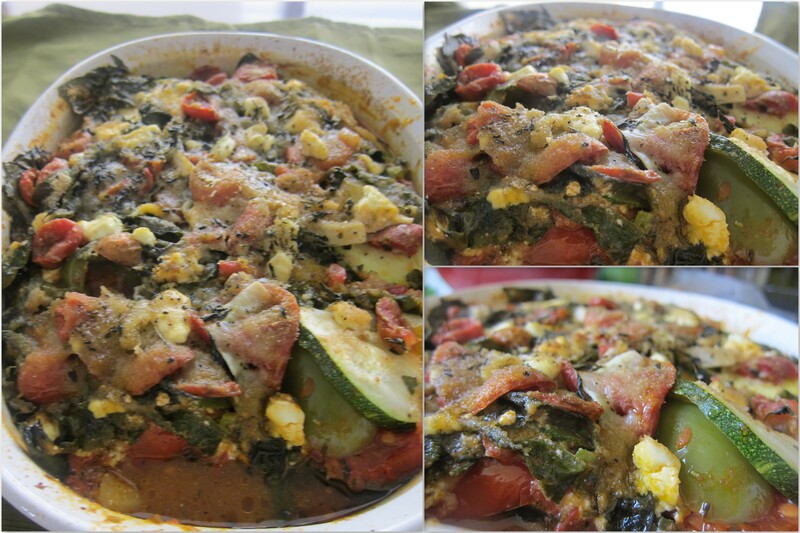 Arrange the peppers first, tomatoes second, sun-dried tomatoes third, and then the zucchini in a single layer on top. Spoon 3/4 cup of marinara sauce over the zucchini. Sprinkle with remaining mozzarella/ricotta cheese. 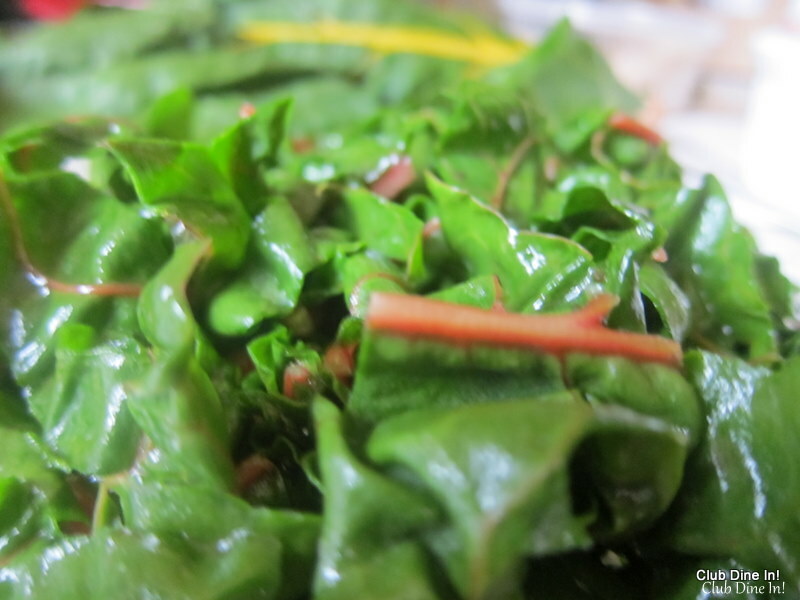 Arrange the chard and cover with the remaining sauce. Sprinkle with Parmesan. Scatter the bread crumbs over the cheese and drizzle liberally with oil. Bake until the top is golden and forms a crust, about 45 minutes. 4. Remove from the oven and cool for 10 minutes, garnish with basil and serve. Use a locally grown tomato for ultimate flavor. Ricotta or mozzarella work well.